The Daily Report shows Call Details for each Campaign, or all Campaigns for the prior 24 hours, emailed directly to your inbox. 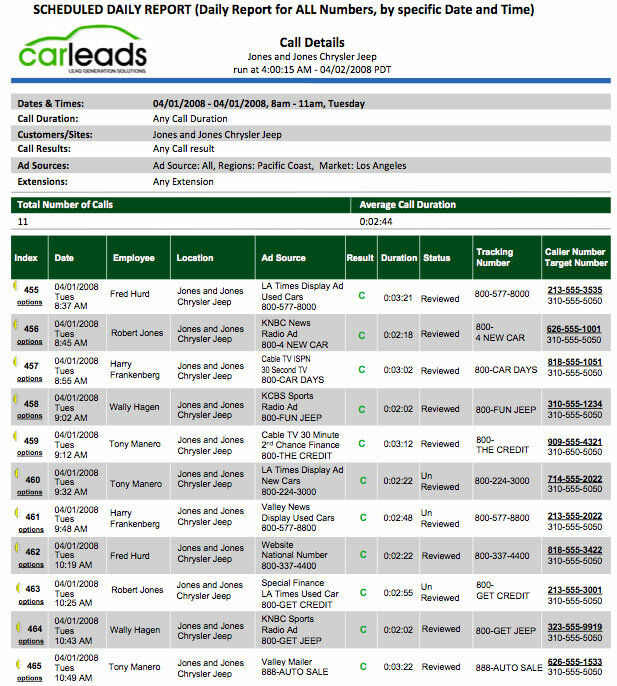 This report allows you to hear calls directly from your inbox, without requiring online Control Panel Login. You can also click the callers telephone number and view their Demographic Data.